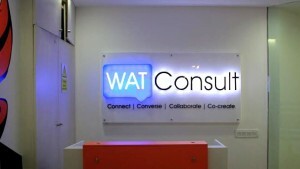 WATConsult, a part of the Dentsu Aegis Network, has expanded its Delhi operations and has added five new accounts to its portfolio along with strengthening its team and moving to a larger office. The wins include the digital and social media mandate of IICE Vodka, Lybrate, Centre for Digital Financial Inclusion (CDFI), Indraprastha Apollo Hospitals and Boston Scientific Corporation of India (BSCI). All these accounts will be handled by the Delhi office which has moved to new 100+-seater office in Saket. Indraprastha Apollo Hospitals and CDFI were both multi-agency pitches and WATConsult won the digital and social media mandate for each of them. IICE Vodka, which is part of Jagatjit Industries Limited, has launched two new flavours. WATConsult will be managing the social and digital mandate of these brands, including their online communityÂ Pouritout.com.